9. I’m looking......................to hearing from you. 10. She..............a cake when the telephone rang. 1. Relax for some minutes and you’ll feel more ……………..
2. He said “Good morning” in a most ………….. way. 3. This book is ……….. enough for me to read. 4. Sa Pa is a wonderful ………..... resort in Viet Nam. 8. Don’t let the child go out because it’s……………. 9. I am going to have a……………… check-up next Monday (medicine). 1. "Do you mind if I sit here?" - "I'd rather you (sit)...................... over there." 2. There (be) ………….. no rain here for 6 months. 3. He spoke to me as if he (be) ………… my father. 4. By the time we (stop) …………, we had driven six hundred miles. 5. The price ( become ) ................... more and more expensive these days. 6. Pupils are made (work)……………… hard at this school. 7. It’s ten years since I last (see) ………… her. 8. Don’t forget (lock) ………… the door before going to bed. 10. The film (begin) ......................at 7.30 or 8.00? 1. She went out the room………………….. saying a word. 2. The life in the countryside is changing…………. better. 3. Mary is thinking of importing fowers …………… China. 4. They are traveling……………….. the airport in a bus. 5. I am afraid………………. Ghost. Paper was(1)……............... by the Chinese in the first century AD. Most paper is made (2)…. ................. with water and chemicals. This wood pulp is then dried on a machine and (7)…. minutes to get to school. My first class is at eight thirty and I usually (6)………….school at three. after dinner. I generally go to bed at around ten thirty. delicious sandwiches and raw fruit you can imagine lying in the warm sun then as darkness comes. You strap uy your basket and drive happily home. 1.What is easy to say and nice to think about? 2.Where, in your imagine, is the big tree? 3.What can you imagine doing after meal? 4.What also likes raw fruit? 5.What may follow the sun? 2. village / the / definitely / better / Life / the / changing / is / for / in / . 3. look for / more money / Farmers / when / family / often / other work / their / need / they / for / . 4. people / still / a week / work / in / Many / days / the countryside / seven. 5. back / in / months / going / England / They / two / are / . 1- The last time I saw her was in 2005. 2- He is writing a book on biology. 3.Going swimming in the summer is interesting. 5-“Don’t play video games too much, Minh"Mr Ha said. 6- Tom is not as tall as Mary. 7- How is the weather ? 8-“Please turn down the radio for me,” said my father. 9- Many trees are cut down to make paper. 10- She cleaned the house.Then she went to the market. Adults and children over 12 years one to two tablet. I. (1,0 điểm). Mỗi câu đúng cho 0,2 điểm. II. (1,0 điểm). Mỗi câu đúng cho 0,2 điểm. Bài IV:(1 điểm)Mỗi giới từ đúng được 0,2 điểm). 1.“Let’s have a picnic lunch in the countryside” is. 2. It’s in the middle of a beautiful green field. 3. We can imagine lying in the warm sun. 5. The rain may follow the sun. I.Mỗi câu viết đúng cho 0,2 điểm. 1. TV is bringing not only informationbut also entertainment. 2. Life in the village is definitely changing for the better. 3.Farmers often look for other work when they need more money for their family. 4.Many people in the countryside still work seven days a week. 5.They are going back to England in two months. 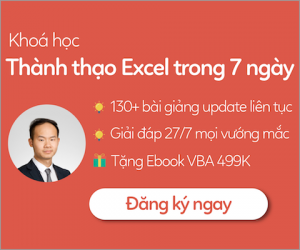 IIMỗi câu viết đúng cho 0,2 điểm. 1- I have’t seen her since 2005. 2- A book on biology is being written by him. 3- It’s interesting to go swimming in the summer. 4- His mother punished him. 5- Mr Ha asked Minh not to play video game too much. 6- Mary is taller than Tom. 7- What’s weather like ? 8- My father asked me to turn down the radio for him. 9- They cut down many trees to make paper. 10- After she cleaned the house, she went to the market.